Did scientists just say, “Flu shots are dangerous for pregnant women”? UPDATE September 2017: CDC admits it knew about a safety signal in 2015 for the flu shot during pregnancy. On September 13, 2017, the CDC posted a new web page – Flu Vaccination & Possible Safety Signal – in response to their own study that showed that the overall risk of SAB (spontaneous abortion/miscarriage) was twice as high for women who had received the flu vaccine during pregnancy in the 28 days following vaccination compared to those who had not and 7.7 times as high if the woman had received an H1N1-containing vaccine in the previous season. This was a small, case-control study that took place over two flu seasons. It was not designed to estimate the risk of miscarriage following vaccination during pregnancy, but the CDC acknowledges the results to be a red flag. The study: Association of spontaneous abortion with receipt of inactivated influenza vaccine containing H1N1pdm09 in 2010–11 and 2011–12 . CDC and its Advisory Committee on Immunization Practices (ACIP) are aware of these data, which were first presented to ACIP at a public meeting in June 2015. At this time, CDC and ACIP have not changed the recommendation for influenza vaccination of pregnant women. InformedChoiceWA is highly concerned it took two years and this spotlight for the CDC to alert the public to this safety signal. CAUTION: No vaccine is currently licensed by the FDA for protection of the infant. The appropriate safety studies needed for FDA licensing have not been done. If your doctor has told you that you NEED to get a vaccine during pregnancy to protect your baby and that vaccination during pregnancy has been proven to be safe and effective, your right to fully informed medical consent has been violated. We have been alerted that some clinics are telling pregnant woman who decline a flu shot that they must sign a form which states they are endangering themselves and others. You are under no obligation to sign the form and asking you to do so is a violation of your human right to fully informed consent for yourself and the unborn child. 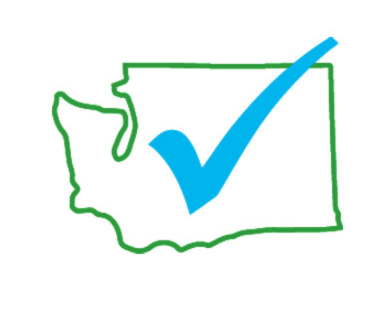 Please send the name of any clinic, doctor, or vaccine provider who is using such forms to contact @ informedchoicewa . com. 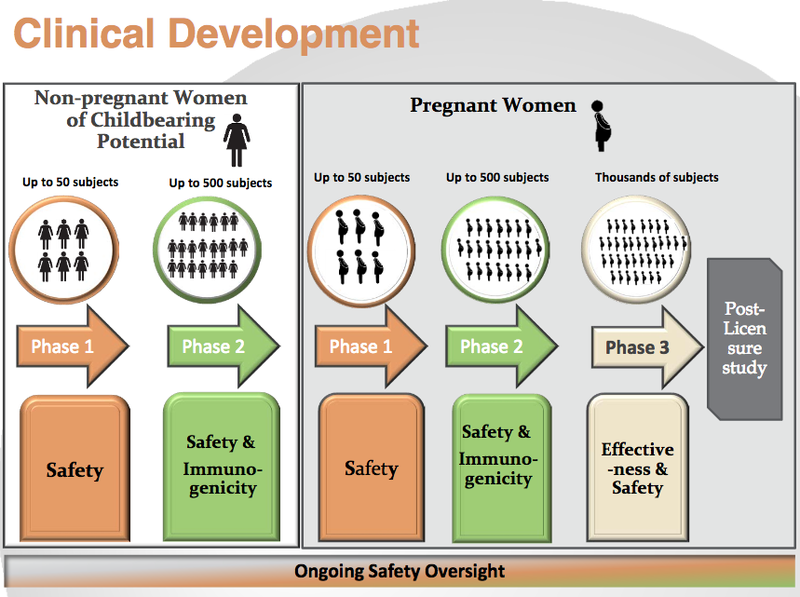 This is the FDA’s slide showing the stages of clinical development that would lead to licensure of vaccines for use during pregnancy to protect the infant. All pregnant women who have been given a vaccine are–in essence–in the Pregnant Women – Phase 3 group without their knowledge or consent. They are being told the vaccines are being given to them to protect the infant–but safety and protection for the fetus/infant have not been established and the vaccines have not been licensed for that purpose. The majority of pregnancies are not tracked and data on outcomes not gathered. Drug companies have set up voluntary registries; they report to the FDA. There is no public access to the data. (VSD), the Vaccine Safety Datalink (VSD) is a collaborative project between the CDC and 9 integrated health care organizations. The VSD includes data on approximately 3% of the US population. Access by independent researchers extremely limited. Only a small fraction of the outcomes of vaccinated-pregnancies are known. Please see the ACIP Guiding Principles document on vaccination during pregnancy and during breastfeeding. They state that the information still holds today. As is clearly shown, the recommendation to vaccinate pregnant and nursing women was never, and is still not based on safety science. Several of the studies the CDC cites as showing safety excluded pregnant women who experienced spontaneous abortion; some only looked at pregnancies that resulted in live birth. There are no reliable long-term outcome studies available to show if receipt of the Tdap, which contains 250mcg of aluminum, capable of crossing the placenta and blood-brain barrier, or receipt of the flu vaccine (some of which contain thimerosal), impacts neurological or immune system development. It has been established, however, that activation of the maternal immune system can negatively impact the fetus and has been linked with autism. Only a small percentage of women catch pertussis or influenza during pregnancy. But maternal vaccination programs ensure that ALL pregnant women experience immune activation, thus increasing the number of infants put at risk. The TdaP contains 250 mcg of aluminum, a known neurotoxin capable of crossing the placenta. Comparisons with ingested aluminum are not appropriate. Only .3% of aluminum that is ingested is absorbed while 100% of injected aluminum is absorbed. Please see our Aluminum page for more information. In 2004, the ACIP began recommending pregnant women get a flu shot in every pregnancy regardless of the trimester. They based this decision on just two studies which showed neither necessity nor safety. A critical paper by David M. Ayoub, M.D. and F. Edward Yazbak, M.D on this decision can be found HERE. 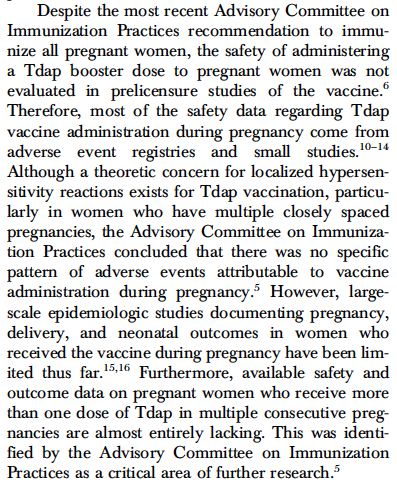 In 2012, the ACIP (the CDCs Advisory Committee on Immunization Practices) began recommending that pregnant women get a Tdap in every pregnancy, no matter when she had last received a Tdap. This was done because the “p” portion of the vaccine, pertussis, is failing. Please see our Pertussis page for details. TIMELINE of recommendations. Read the linked MMWRs to see the experimental and presumptive nature of the recommendations. For the flaws, limitations, and general risks (such as increasing risk of non-vaccine infections) of the vaccines currently given to pregnant women, please see our Pertussis Page and Flu page. As this page reveals, the risks of the vaccines to unborn babies, and the impact on their immune and neurological development is not known. The CDC says, “Flu is more likely to cause severe illness in pregnant women than in women who are not pregnant.” We again refer you to the Ayoub & Yazbak paper, and Dr. Jennifer Margulis’s article. On average, just 5 pregnant women die from flu complications in non-pandemic years. In pandemic years, the rates are higher. During the 2009-2010 pandemic, 75 pregnant women died. The data does not reveal their vaccination status, but a study reveals those who receive an annual vaccination may be at more risk of catching pandemic flu. The pandemic was caused by a new flu strain: H1N1pdm09. This strain was included in the vaccine the next season, and it was receipt of this vaccine that increased risk of miscarriage 7.7 fold the following year. 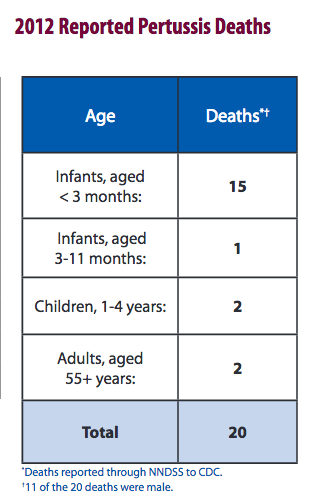 For pertussis, the CDC says “Most of the deaths each year are in babies younger than 3 months of age.” How many? In 2012, during an epidemic of pertussis in which more than 48,000 people in the US were diagnosed, 15 infants died. Provisional data from 2016 shows 6 deaths under age 1. Newborn pertussis risk is extremely small. Baxter et al., 2017 report the improvement in relative risk among babies of vaccinated mothers. However, the data from Baxter et al. provide an absolute risk reduction (ARR) in infants of just 0.02%, i.e., 15 pertussis cases out of 79,292 unvaccinated mothers vs. 1 case out of 68,168 mothers vaccinated at least 8 days prior to giving birth. Baxter et al. limited the birth mothers to those born prior to 1996 for the purpose of ensuring all mothers had received the whole-cell pertussis primary series, so even this small ARR may not be afforded to infants born to women who received acellular vaccines as their primary series. Anything that triggers immune activation during pregnancy–including flu and pertussis, and including vaccination which is designed to provoke an immune response–can lead to complications and harm to the developing fetus. The odds of getting the flu or pertussis while pregnant and thus activating the immune system are low. Being vaccinated during pregnancy guarantees immune activation 100% of the time. Knowledge erases fear and allows fully informed decisions. Maintaining a healthy diet and lifestyle before, during, and after pregnancy are essential for an uncomplicated pregnancy and the health of the newborn. See a trusted professional about how best to prepare for pregnancy, or safe ways to avoid infection while pregnant, and how to best protect your newborn. You can empower yourself with no-risk natural and common sense options. Each 0.5-mL dose contains aluminum hydroxide as adjuvant (not more than 0.39 mg aluminum 380 by assay), 4.5 mg of sodium chloride, ≤100 mcg of residual formaldehyde, and ≤100 mcg of 381 polysorbate 80 (Tween 80). The following studies are cited by the CDC (also HERE) as showing safety for use in pregnancy. Note that, unless it was a randomized clinical trial (of which there are very few) the subjects were not knowingly enrolled in safety studies. They were pregnant women who were told by their doctors, who trust the CDC to guide them, that the vaccines were safe during pregnancy and effective for protecting the baby. We are reviewing the studies to see if they specifically address safety for the fetus, in particular, do they address non–live birth outcomes (stillborn, spontaneous abortion/miscarriage) and/or long-term impacts on the immunological, developmental, or neurological health of the child. Do the studies the CDC cite as showing safety of vaccination in pregnancy address non–live birth outcomes (stillborn, spontaneous abortion/miscarriage) and/or long-term impacts on the immunological, developmental, or neurological health of the child? Weakness/Flaw: Exclusion of all non-live birth outcomes makes the conclusion of this study extremely misleading. It does not speak at all to the safety of vaccination during pregnancy since rates of spontaneous abortion or fetal demise were not considered; current ACIP recommendations would lead to much higher frequency TdaP administration than this study examined; long-term health outcomes of children were not examined; rates of adverse reactions were not compared with a non-vaccinated control group. Weakness/Flaw: By excluding non-live birth outcomes and by not looking at all newborn or long-term health complications, this study provides no insight into the potential risk of maternal vaccination. Weakness/Flaw: The review states: “There was substantial clinical and methodologic heterogeneity from mainly retrospective observational studies with an overall high risk of bias. ” When we have examined the 21 studies examined in this review, we will provide an update. Weaknesses/Flaws: See bolded sections of the conclusion. Also, mothers with maternal diabetes are routinely vaccinated. The impact of Tdap may be additive to risk, and this group should not have been excluded but examined separately in order to determine maternal groups more susceptible to fetal vaccine adverse effects. All vaccination comes with “non-specific effects” — effects that are observed to occur but were not intended by the developers. Non-specific effects of Tdap includes susceptibility to other infections, especially in the immunocompromised and pregnancy is a state of suppressed immune function (see the video on herd immunity on our Pertussis page for more about non-specific effects.) Tdap may increase risk of viral infection during pregnancy–symptomatic or asymptomatic–leading to congenital infections, so that group should not have been excluded. And studies have shown that exposure to aluminum can induce chromosomal abnormalities (see PMID: 19274764 and our Aluminum page), so that group also should not have been excluded. Excluded: “We excluded women who received any live vaccines in pregnancy, those with multiple gestations, and those with non-live birth outcomes, including stillborn, spontaneous abortion, therapeutic abortion, trophoblastic disease, and ectopic pregnancy, since we did not access medical records to confirm these outcomes and their onset dates. Additionally, we excluded women who received more than one tetanus containing vaccine (including multiple Tdap vaccines) in the same pregnancy and women who received more than one influenza vaccine (seasonal influenza and H1N1 influenza or multiple seasonal influenza vaccines) on different days in the same pregnancy, in order to limit our comparisons to women with a single influenza vaccination date and a single tetanus vaccination date. Weaknesses/Flaws: The exclusion of all non-live birth outcomes makes the conclusion of this study irrelevant to informing on the safety of vaccination during pregnancy. 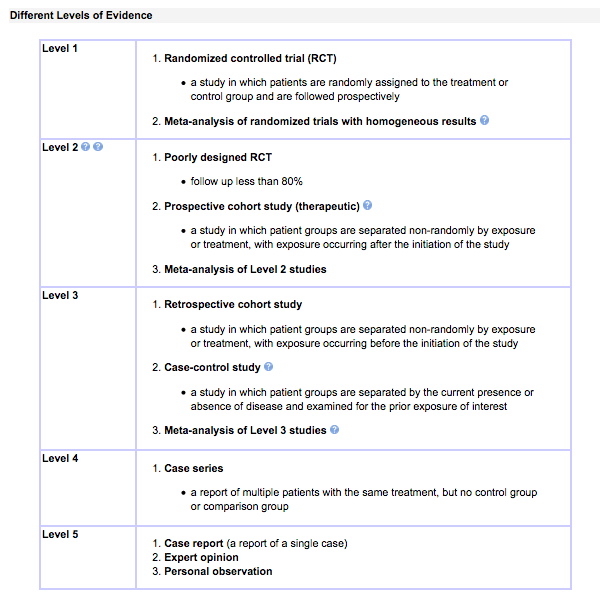 The study design compared adverse reactions/outcomes following concomitant vaccination to reactions/outcomes of those receiving the vaccinations at a separate time. For this outcome to be meaningful, besides including non-live birth outcomes, non-vaccinated comparison group data should have been provided. Long-term impacts on the health of the children born live were not examined. This passage from the paper provides insight into the issue we are presenting here: it explains that despite CDC recommendations, safety has not been established. Weaknesses/Flaws: The authors state their study is limited by the possibility of “type II” error because of their fixed sample size, especially in regard to rare study outcomes such as stillbirth and neonatal death. They state there was a potential for unmeasured cofounders, and they did not have access to relevant historical information or any data about vaccinations, adverse outcomes, or births that did not happen at the study institution. The vaccinated subjects numbered 97% of the total, and the comparison non-vaccinated just 3%, and the authors state this group was likely may at increased risk of preterm birth or other complications–this is reflected in the 92% that were referred to high-risk obstetrics compared to 70% of the vaccinated group. This healthy-user bias makes it impossible for any useful conclusions to be drawn from this study. Weaknesses/Flaws: The study covered periods when maternal vaccination was rare. “Of 35 727 pregnant women who had babies without any defects in the study period (control group), 33 (0.09%) were vaccinated with tetanus. Of 21 563 pregnant women who had offspring with congenital abnormalities, 25 (0.12%) had tetanus vaccination. This difference was not significant (P=0.39).” Drawing the conclusion that use of a tetanus toxoid during pregnancy is non-tetragenic based on such limited subjects is irresponsible. Study: Donegan K, King B, Bryan P. Safety of pertussis vaccination in pregnant women in UK: Observational study. BMJ. 2014;349:g4219. PMID 25015137. Weaknesses/flaws: The voluntary and passive VAERS suffers from critical under-reporting. While surveys of the data can sometimes indicate the need for further research, no study using only VAERS data can ever be conclusive or show safety. Study under review by ICWA. Initial remarks: This study design appears unable to find meaningful data. A 28 day vaccine-exposure window was examined and compared between women who experienced spontaneous abortion and those who did not (the control group, who were individuals with a live birth.) This comparison is meaningless, revealing nothing about why one woman vaccinated in the window lost her child when another woman didn’t. Exposure to the vaccine can’t be ruled out as the cause. Only questions can be generated by this study, such as, are there genetic and environmental factors unique to each woman that lead pregnancy loss in the 28 day window following vaccination? Study: Kharbanda, E O, et al. “Inactivated influenza vaccine during pregnancy and risks for adverse obstetric events.” Obstetrics and gynecology., U.S. National Library of Medicine, Sept. 2013, www.ncbi.nlm.nih.gov/pubmed/23921876. Study Objective: “To compare risks for adverse obstetric events between females who did and did not receive trivalent inactivated influenza vaccine during pregnancy.” These 13 events were looked for: hyperemesis, chronic hypertension, gestational hypertension, gestational diabetes, proteinuria, urinary tract infection, gestational hypertension, preeclampsia or eclampsia, chorioamnionitis, puerperal infection, venous complications, pulmonary embolism, and peripartum cardiomyopathy. This study did not include collecting data on spontaneous abortion, fetal demise, stillbirth, or long term health outcomes. This study included only live birth outcomes, flu vaccine administered during first trimester only, control group may have received flu vaccine during 2nd or 3rd trimester, specific birth defects looked for, children followed until age 1 (autism and other developmental disorders not usually assessed until age 2 or later). See our Aluminum page for studies on the neurotoxicity of aluminum adjuvants. The lack of studies on the impact of aluminum exposure in utero is astounding. The Tdap vaccine contains 250mcg of aluminum capable of crossing the placenta.